The government's amnesty programme whereby militants in the Niger delta are to be disarmed and rehabilitated with a stipend, job training and a micro-credit loan, has been linked to reduced violence in the delta, but critics say it has made the same mistake as almost every other disarmament, demobilization, rehabilitation and reintegration (DDRR) campaign: too much “dd” and not enough “rr”’. An amnesty for militants in the delta region was initiated by President Umaru Yar’Adua in July 2009 following regular outbreaks of violence from 2006-2009 culminating in a May 2009 military incursion by government troops into the delta’s creeks, which left thousands displaced. Militants’ anger has largely been fuelled by communities being left out of the region’s oil wealth. Through the amnesty programme, militants surrender their weapons at collection centres and register to be trained in a job skill during which period they receive counselling and a monthly allowance of US$439 prior to being reintegrated into civilian society. At the same time the authorities put in place policies to ensure more oil wealth is directed back into community development. While criminality linked to oil theft persists, large-scale violence is down in the delta since the amnesty started, says Samuel Ayelume of the University of Llorin in Delta State, with incidents of oil bunkering, kidnappings, vandalism, oil theft and small arms proliferation all having dropped. A greater proportion of state funding is being channelled into local development, he pointed out. 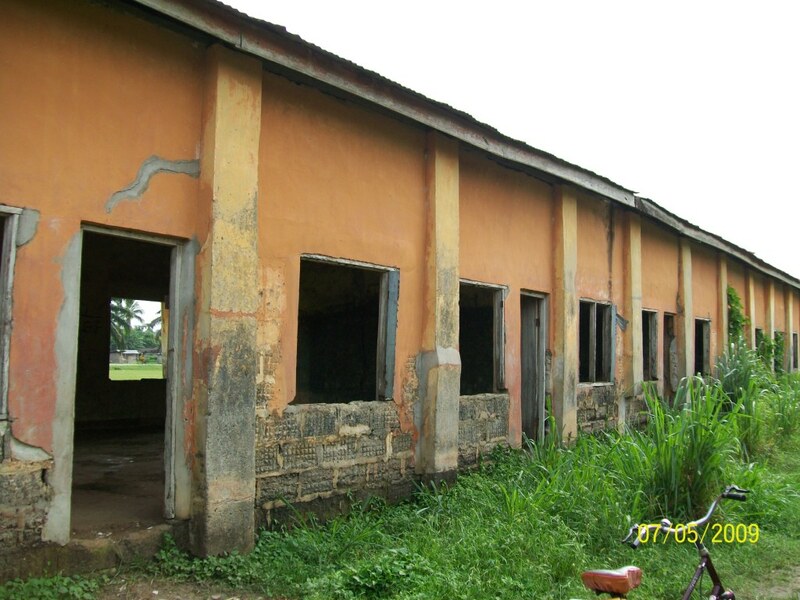 In April 2010 Delta State authorities passed their budget of US$2.2 billion, 63 percent of which is earmarked for building up infrastructure in affected states, including rebuilding the Gbaramatu kingdom, an area made up of several villages in Delta State, which was destroyed in fighting between government troops and the Movement for the Emancipation of the Niger Delta (MEND) in May 2009, according to Delta State Governor Emmanuel Uduaghan. Bayelsa State Governor Timipre Sylva says its $1.28 billion budget will include rebuilding access roads in the creeks, supporting youth centres and rehabilitating health centres. On 21 April acting President Goodluck Jonathan signed into law a bill giving domestic firms priority in the awarding of oil blocks and requires foreign companies to hire more local workers. Jonathan has promised to reinvigorate the amnesty process, which flagged during President Yar’Adua’s long-term illness, and in April 2010 appointed a new petroleum minister, Diezani Alison Makueke from Bayelsa State, and a new minister of Niger Delta affairs. However, lack of planning in the DDRR process meant the government underestimated the resources required for long-term, workable rehabilitation and reintegration activities, said the ICG’s Obasi. Critics have said the same of DDRR processes in the Democratic Republic of Congo, Liberia and Sierra Leone. The authorities predicted 10,000 ex-militants would sign up for amnesty, but 17,500 - a mixture of militants, unemployed youths, criminals or militant-criminals, which he calls “milicrants” - did so. These 17,500 have high expectations, and some have told ICG a micro-credit loan and small business start-up are not good enough - they want well-paid appointments with international oil firms. MEND set off two bombs in the city of Warri in Delta State, in mid-March 2010 outside meetings where the authorities were discussing the amnesty programme. “The car bombing at the venue of the post-amnesty dialogue talk is enough to tell the whole world that the post-amnesty rehabilitation programme is not working,” Joseph pointed out. Also of concern is the fact that though 17,500 have registered, between them they have handed in just 2,700 weapons, which “falls severely short of the arsenals that the militants circulate in the region,” Obasi told IRIN. These pitfalls might have been avoided had more Nigerian or international DDRR experts been consulted on the process, he said. To make progress, the federal ministries, heads of the various implicated states, and the Niger delta Development Commission, whose relations Obasi describes as “fractured”, need to stop working solo and coordinate their plans, he said. This should also lead to more realistic planning of what needs to be done to get the amnesty process back on track, he added. And longer-term, the violence that has characterized the past few years could relapse.